Operators of the power system under the Department of Energy recorded net profits of 276MEUR at the end of last year, according to a report on the progress and performance of the business ownership to RAs and companies under the authority of the Department of Energy in 2013. On 31.12.2013 operators in the energy system under the Department of Energy showed outstanding payments amounting to 276MEUR. The main operators are under the Department of Energy are Hidroelectrica Serv SA, a subsidiary SPEEH Hidroelectrica SA, Bucharest SA, Energy Complex Hunedoara SA, Electrocentrale Galati SA, subsidiary of FISE Electrocentrale Group SA and Electrica Serv SA, SCDFEE subsidiary Electrica SA ‘, says the report. Also, dividends distributed by companies subordinated to the Department of Energy for the financial year ended 31 December 2013 amounted to 773MEUR. ‘Total dividends due Romanian State in its capacity as a shareholder of companies under the authority of the Department of Energy for the financial year ended 31.12.2013 – 335MEUR, is added to the document cited. Portfolio of Department of Energy, managed by the General Directorate for Privatisation and Management of State Ownership in Energy, comprises of 27 operators of energy and energy resources. 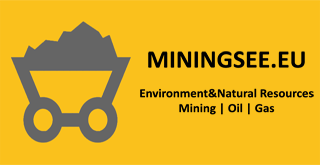 These operators active in the production, distribution and supply of electricity and heat, exploitation, processing and evaluation of mineral resources, energy (coal, lignite, coal, uranium, oil, oil and gas). However, the Department of Energy is a minority shareholder to five operators: OMV Petrom SA (20.64%), RRC (44.7%), GDF Suez Energy Romania (37%), E.ON Energie Romania (31.82 %) and E.ON Gas Distribution (37%).